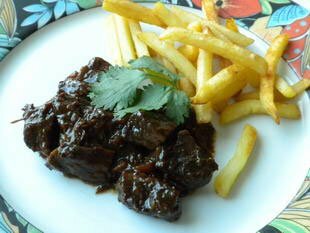 Carbonnade is a dish that comes from Belgium and the north of France. Large pieces of beef are slowly simmered in beer with carrots and onions. Here's a personal version.